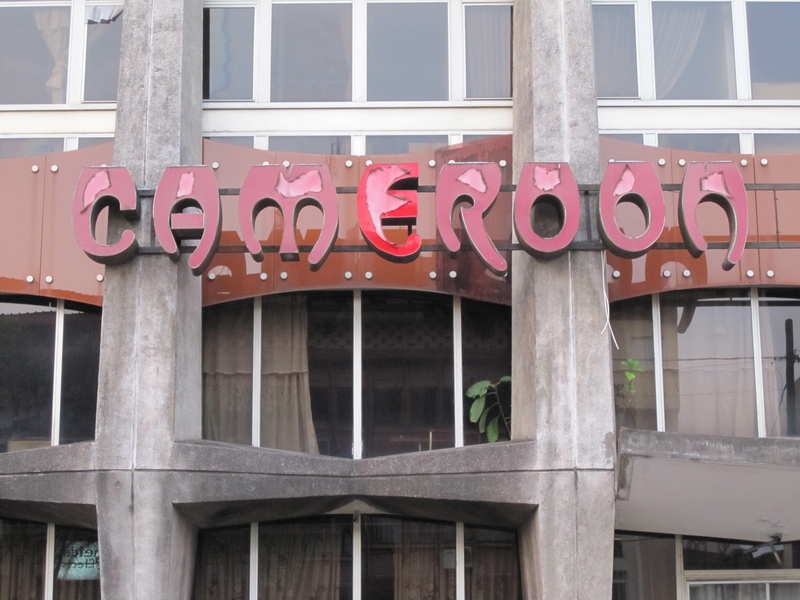 When I arrived in Douala, Cameroon, I took a stroll around town. Just after 5pm, the district of Bonanjo was relatively quiet. Stores were already closed for the day, but a few people were roaming about the streets. The architecture immediately took me back to Hanoi, Vietnam: a strong French colonial presence in design and construction permeates throughout the central buildings. But it’s not just the architecture that reminded me of Asia. Men push popcorn carts along the central green space, motorcycle taxis putter about, and there’s dense humidity in the air. Unfortunately, the coming days would be filled with work; crisscrossing the city from point to point, carefully passing through busy intersections with disabled traffic lights. My driver for the few days, Oscar, absolutely loved Congolese rap music, especially Fally Ipupa. More specifically, he loved just one of Fally’s songs. At the end of my fourth day of work, I had every line memorized. Before departing for the airport, we ventured to a poor district of town were music vendors sat under umbrellas with ramshackle computers teetering on top of crates and makeshift tables. Oscar got out and returned with four CDs of various Congolese, Cote d’Ivoire and Cameroonian music. Each day, Oscar would take me to a different local restaurant. We had Ndole, a type of sauce which is made from boiled shredded bitterleaf, melon seeds and peanuts and is served with meat and shrimp. Another day, we arrived to the port district of the city to a beachside local restaurant. Oscar picked out two sole fish from a lady selling them out of a cooler next to the restaurant; they’re brought to the kitchen and prepared inside the restaurant. We negotiated to 6000 XAF (or about $14 – not quite inexpensive) for the two fish and enjoyed a nice breeze off the water while taking in a few cold beers. Your job sounds amazing. Are you still in Douala. When I first got here we were drinking beers every day at the hotel for 4000CFA. We went on a quest to find the cheapest beer that we could find. Finally found 32 ouncers for 500CFA. Ha! Thanks rtanksley – good find on the beers. 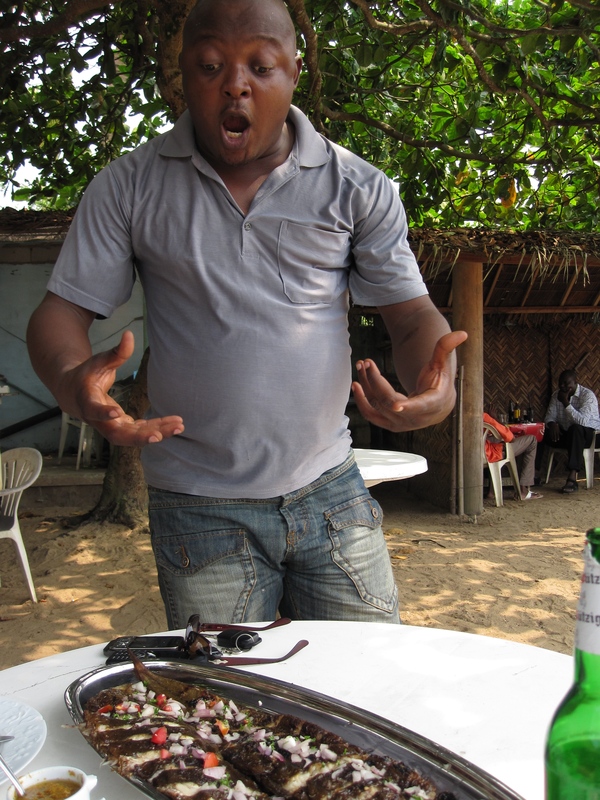 I no longer am in Douala; was there for a few days back in mid-Feb. Enjoy the city and thanks for reading!